A "versatile and energetic conductor,"
Nicholas Hersh continues to earn acclaim for his innovative programming and natural ability to connect with orchestras and audiences alike. 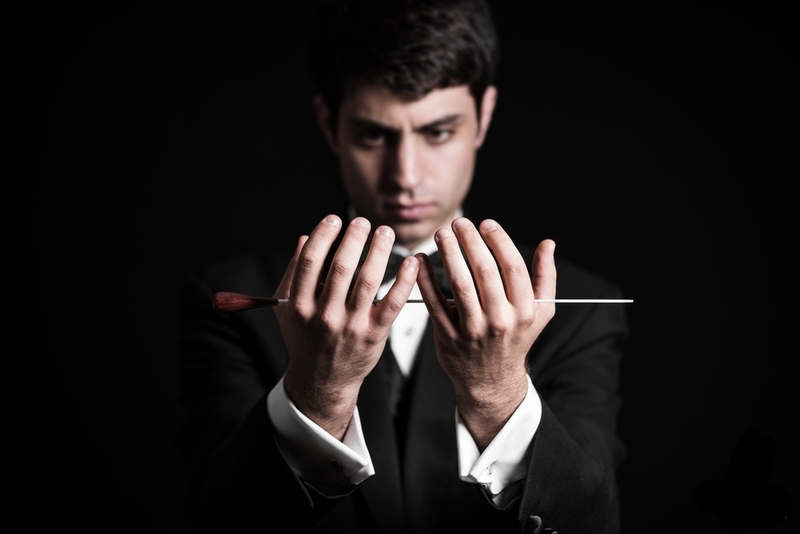 As the Associate Conductor of the Baltimore Symphony Orchestra—a position to which he was promoted from Assistant Conductor in 2016—Nicholas leads the orchestra in a variety of classical and popular programs, notably including BSO Pulse, a concert series of his own conception that brings together Indie bands and orchestral musicians in unique collaborations. After his successful Baltimore Symphony subscription debut, stepping in for an indisposed Yan Pascal Tortelier, Nicholas conducts the BSO in a set of subscription concerts each season, often utilizing the unique Off the Cuff format to familiarize new concertgoers with the orchestral repertoire. As a guest conductor, Nicholas has worked with orchestras around the country, including the New Jersey Symphony, North Carolina Symphony, and New World Symphony (Miami); 2018 debuts include the National Symphony (Washington, D.C.), Houston Symphony, and Phoenix Symphony. An avid educator, Nicholas serves as the Artistic Director of the Baltimore Symphony Youth Orchestras and directs the BSO’s educational and family programming, including the celebrated Academy for adult amateur musicians. He is a frequent collaborator and guest faculty at the Peabody Conservatory as well as the BSO’s OrchKids program for Baltimore City schoolchildren. Nicholas is also frequently in demand as an arranger and orchestrator, especially for his skill in covering popular songs in an idiosyncratic orchestral style. His symphonic arrangement of Queen’s famous Bohemian Rhapsody continues to see worldwide success as a viral YouTube hit, and has had his work performed by orchestras around the globe.